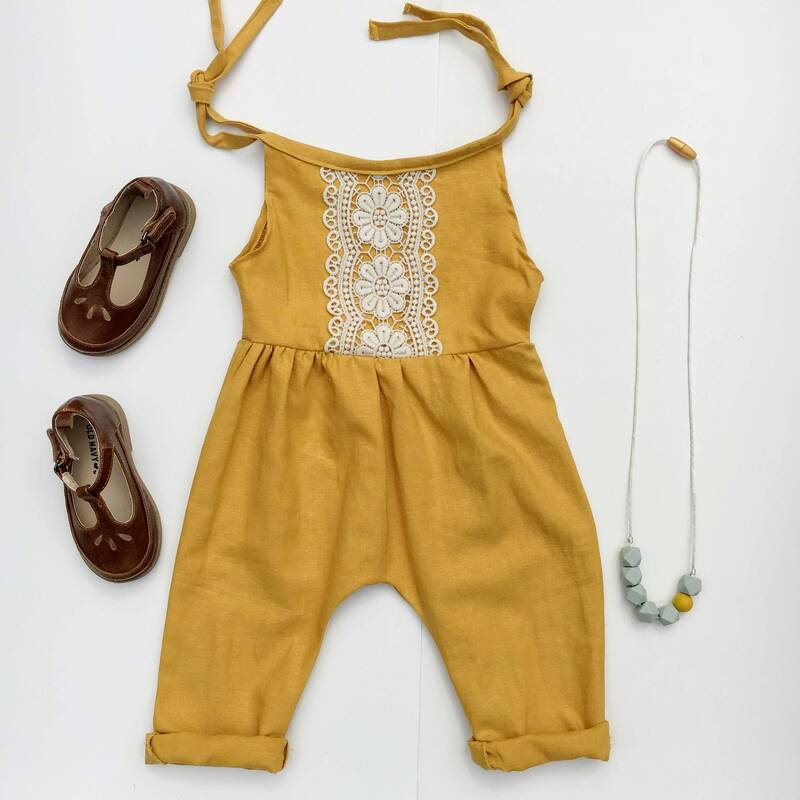 This Baby Girl Toddler Organic Linen Romper Jumpsuit with Shoulder Ties is the Perfect Spring Outfit or Baby Shower Gift. 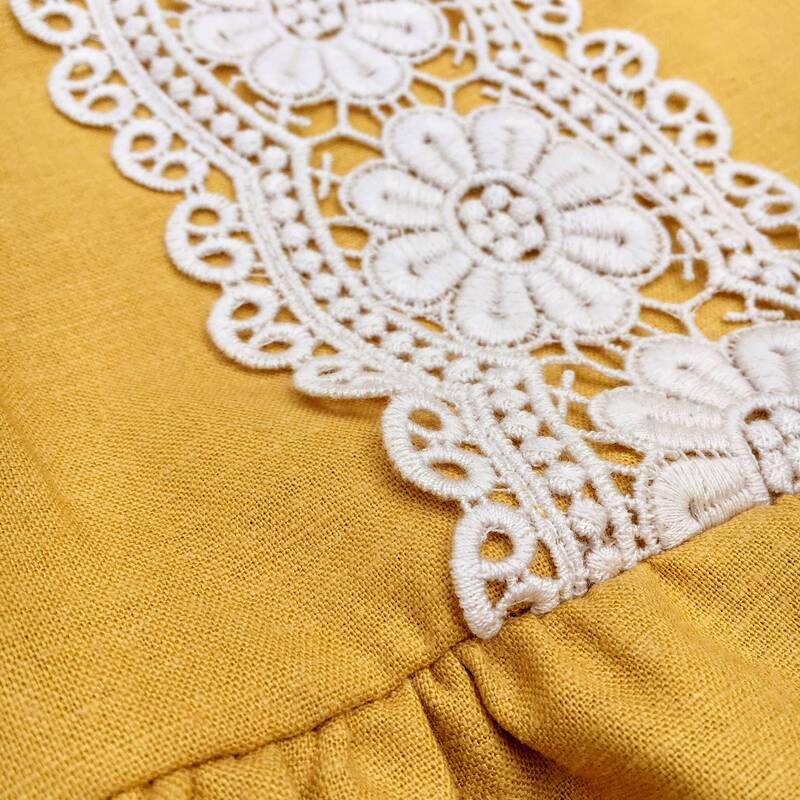 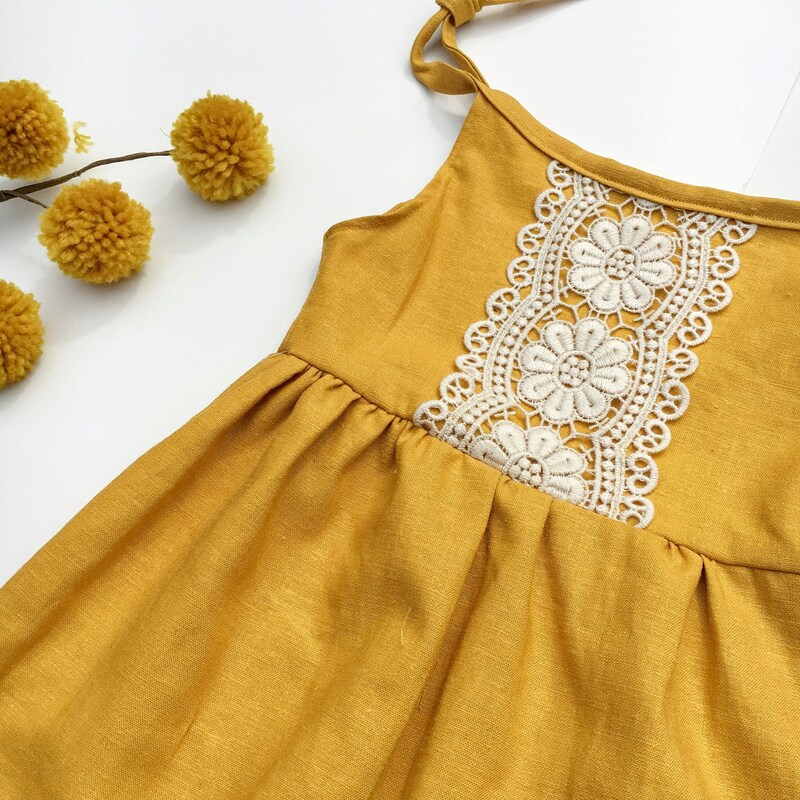 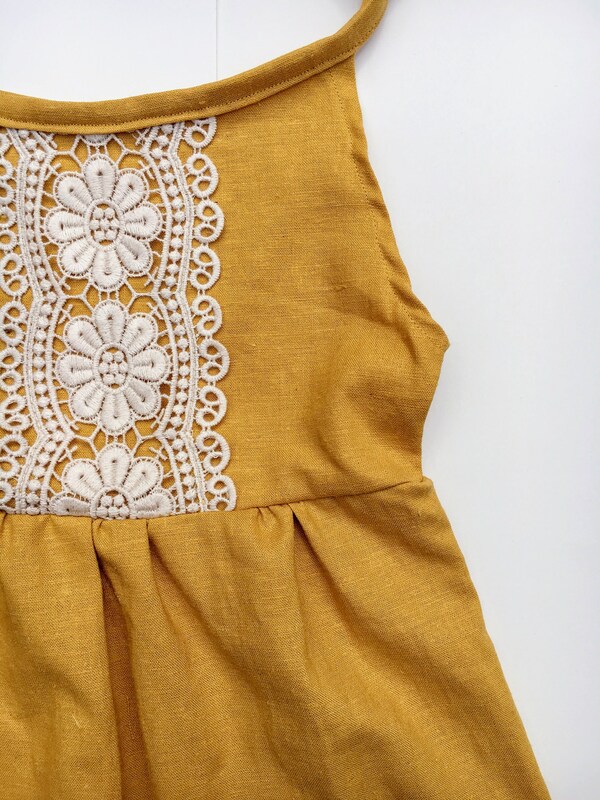 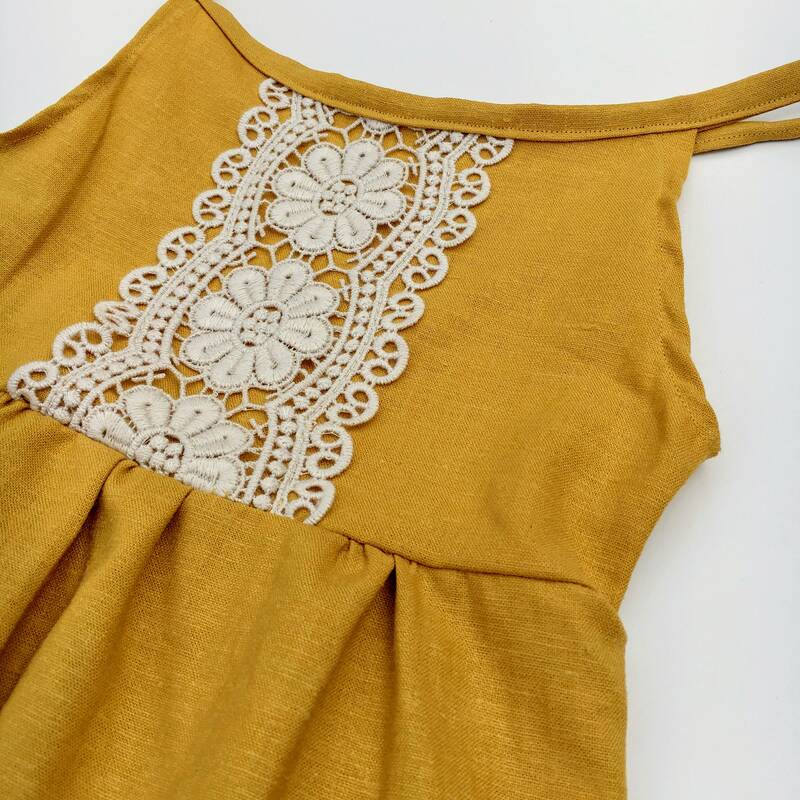 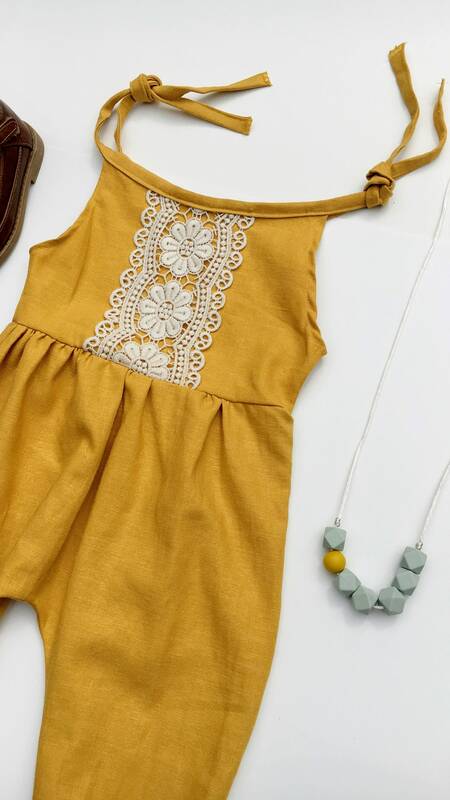 The Mustard Yellow Romper is Light weight, Super Comfy and Made with Organic Linen. 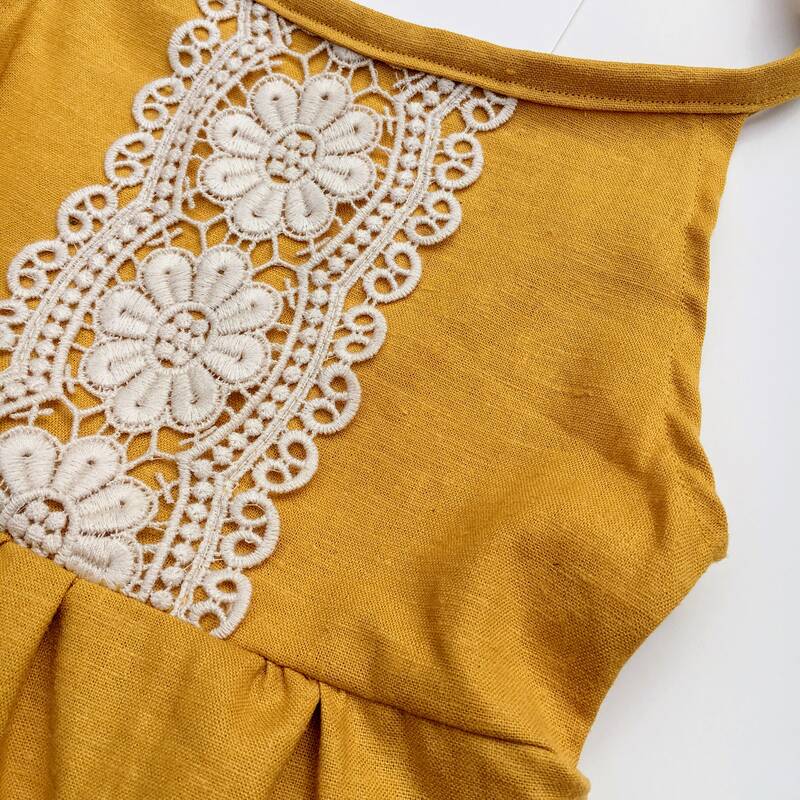 The front features a beautiful lace crocheted cream trim down the middle. 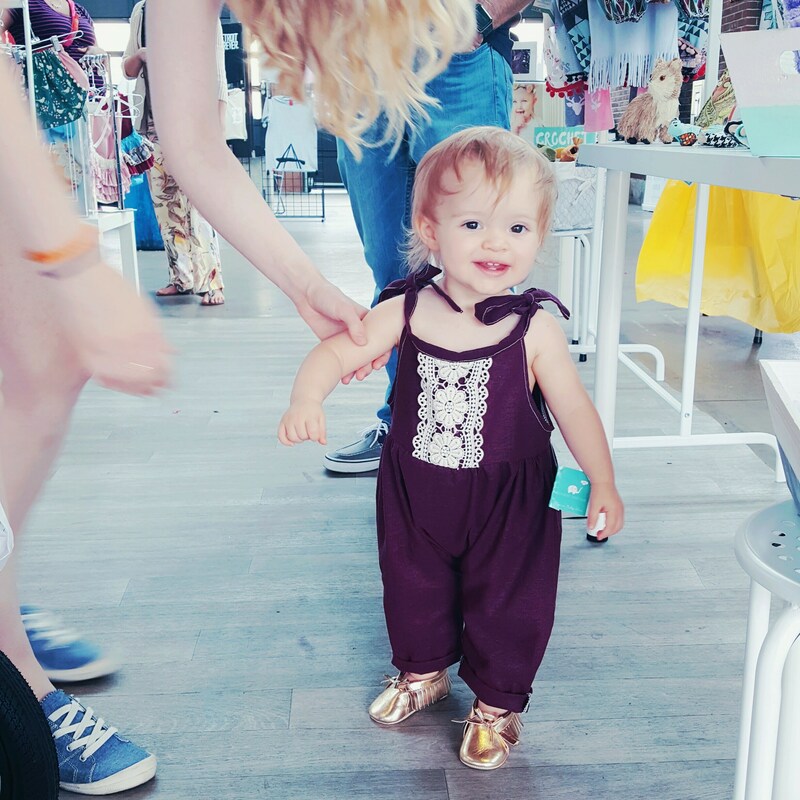 Shoulder Ties and Plenty of Cuffing Length Allows the Romper to be Adjusted to Child's Height as They Grow.